A downside of the hot weather we’ve been having is the bushfires across NSW. 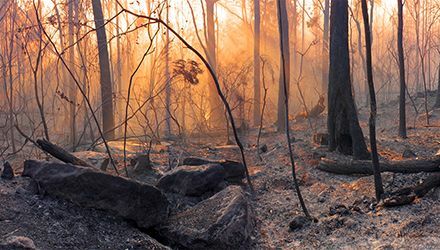 While the majority of bushfires are now under control, residents affected continue to bear the burden of the aftermath, long after the stories disappear from our news headlines. Garfish Manly staff wanted to show their support for those affected, so donated all tips received on November 1st, and raised $1,000 as a result. Garfish management matched this amount, bringing the total to $2,000. With Coles and Bi-Lo stores generously matching all donations dollar for dollar, we were able to bring the total contribution to $4,000. Red Cross trained volunteers are hard at work in the affected areas. Simple tasks can seem overwhelming at times like these, so volunteers are lending a hand as well as offering emotional support. Donations are still being accepted and you can offer your support via the Red Cross website here. We also urge people not to be complacent. We’ve got a long, hot summer ahead of us and if you’re in an area with the potential for bushfires, we’d urge you to take the necessary steps to do the best to protect yourself ahead of time and develop a bushfire survival plan. The NSW Rural Fire Service has a variety of helpful resources to assist you here.